Tasting Notes: On the nose this wine shows notes of cherry, cranberry, strawberry, and orange zest, with cinnamon spice, and river-stone mineral. 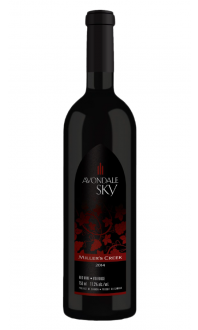 The palate is fresh and crisp, with red fruit and savoury spice. The wine has a nice balance between sweetness and acidity with a very clean yet subtle finish. Suggested Food Pairings: An easy drinking wine on its own, this wine also pairs well with turkey, pork, mild cheese, and nice weather.